The College of Engineering at Illinois has partnered with community colleges in Illinois to provide students with a pathway for transferring into the College of Engineering after they complete their Associate's degrees. This program helps ensure that talented students have the opportunity to pursue their education to the fullest. Among other benefits, the program is particularly good at enabling first-generation college students and underrepresented minority students to study at Illinois. Technology Services Security Topics: Data Classification, Passwords, Phishing, and Social Media Safety. FAST3 hands-on computer training courses at the University of Illinois. In some years, the Information Trust Institute offers an Undergraduate Summer Internship program. 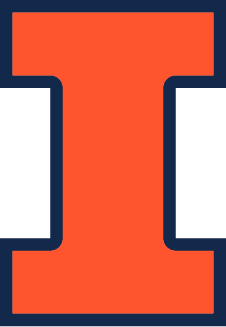 Students at Illinois who are interested in doing research in infromation assurance or cyber security can apply to the Illinois Cyber Security Scholars Program through the Information Trust Institute. The Worldwide Youth in Science and Engineering (WYSE) Program enables high school studentsto come to campus during the summer and participate in a week-long camp and complete hands-on activities, participate in classes, see demonstrations, and much more, in relation to various topics in engineering. The Gems Computer Science Camp for Girls is a program led by the Department of Computer Science at Illinois in which middle school girls come to campus and learn about the field of computer science and its various subfields. The Information Trust Institute and the Office for Mathematics, Science, and Technology Education (MSTE) have partnered to help teachers and students learn about the system that delivers electricity and the challenges of the future. The materials are designed for students in 7-12 grades. The materials are classroom-ready and illustrate important concepts in the science of electricity and the power grid as well as mathematics.